Questions 1: You should ask YouTube for permission to use other users’ content from the site. Questions 2: The following things are copyrightable: names, places,faces and spaces. Questions 5: If you claim fair use in the video description, your video can’t be considered copyright infringement. Questions 6: All uses of copyrighted content without permission of the owner are considered copyright infringement. Questions 7: Copyright protection is only given to major film, television or recording corporations who pay for the privilege. with my friends, family and fans. Questions 9: Its fine to use someone else’s content as long as it already appears on YouTube. Questions 10: Giving credit to the creator in your video’s description is enough to prevent copyright infringement from occurring. Questions 14: Creating 100% original new content for YouTube will help to protect you against claims of copyright infringement. Questions 15: It’s possible for music to have more than one copyright owner. Questions 16: lf you claim fair use in the video description, your video can’t be considered copyright infringement. Questions 18: You should ask YouTube for permission to use other users’ content from the site. Questions 20: Deleting a video that was removed for copyright will get rid of the associated copyright strike. Questions 22: It is impossible for a remix or mash up to infringe copyright. Questions 25: If you claim fair use in the video description, your video can’t be considered copyright infringement. Questions 27: The following things are copyrightable: names, places, faces and spaces. Questions 28: Its fine to use someone elses content as long as it already appears on YouTube. Questions 29: If content is available on the Internet, it is in the public domain and therefore okays to upload to YouTube. Questions 30: If you are found to be a repeat infringer, you could lose your YouTube account. Questions 31: Fair use” is a legal defense that applies in all countries. your account and wait for the Content ID system to block any unauthorized content. Questions 35: Copyright infringement is a serious offense and violation of the law may have significant consequences. Questions 36: If you claim fair use in the video description, your video can’t be considered copyright infringement. Questions 39: Anyone can issue a copyright claim on behalf of someone else. Questions 40: Creating 100% original new content for YouTube will help to protect you against claims of copyright infringement. trouble), I could be found liable for any damages caused. Questions 46: If a video gets removed because of a copyright infringement notification, filing a counter-notification is the only possible way to restore the video. Questions 47: If content is available on the Internet, it is in the public domain and therefore okay to upload to YouTube. Questions 48:Content that was once allowed by a content owner may be subsequently removed from YouTube. Questions 49: If you are found to be a repeat infringer, you could lose your YouTube account. Questions 50: It is impossible for a remix or mashup to infringe copyright. These are the questions that we can expect in YouTube Copyright School. If we get new questions we will update this post. So,Bookmark this post to your browser so that if we update it you can easily navigate to it. Question No.1. The Following Item are NOT Protected by Copyright.? Question No. 2. People are not protected by Copyright.? Question No. 3. you Should ask YouTube for permission to use other users content from the site.? Question No. 4. Content that was once allowed by a content owner may be subsequently removed from YouTube. Question No. 5.The Following item is protected by copyright.? Answer: Your Original YouTube Video. Question No. 6. If I intentionally file a false notice of alleged copyright infringement against a YouTube video Just for fun, or to cause trouble I could be found liable for any damages caused.? Question No. 7. It is impossible for a remix or mashup to infringe copyright.? Question No. 8. If a video gets removed because of a copyright infringement notification, filing a counter notification is the only possible way to restore the video.? Question No. 9. If content is available on the Internet does not mean that it is in the public domain and therefore okay to upload to YouTube.? Question No. 10. As long as I have purchased the content in question, it is not possible for me to infringe copyright by uploading it to YouTube.? Question No. 11. Deleting a video that was removed for copyright will get rid of the associated copyright strike.? Question No. 12. It is impossible for a remix or mashup to infringe copyright.? Question No. 13. If you claim fair use in the video description, your video can’t be considered copyright infringement.? Question No. 14. as long as i have purchased the content in question, it is not possible for me to infringe copyright by uploading it to YouTube.? Question No. 15. It’s fine to use someone else’s content as long as it it already appears on YouTube.? Question No. 16. The Following items are NOT protected by copyright.? Question No. 17. “Fiar Use” is a legal defense that applies in all counties.? Question No. 18. If content is available on the Internet, it is in the public domain and therefore okay to upload to YouTube.? Question No. 19. If you claim fair use in the video description, your video can’t be considered copyright infringement.? Question No. 20. If the original creator of the copyrighted work has died, the work is no longer protected by copyright.? Question No. 21.if you are found to be a repeat infringe, you could lose your YouTube Account.? Question No. 22. If you claim fair use in the video description, your video can’t be considered copyright infringement.? Question No. 23. Anyone can issue a copyright claim on behalf of someone else.? Question No. 24. Copyright infringement can result in.? Question No. 25. As long as you have modified the original content in some way, such as in a remix, it is always a fair use of copyrighted material and cannot be subject to claims of copyright infringement.? Question 26.Copyright infringement occurs when a copyrighted work is without the permission of the copyright owner.? Question 27. Copyright protects each of these individual right. “Fair Use” is a legal defense that applies in all countries.? Question No. 28.Uploading a video of myself recording my favorite cover song does not required the permission of the copyright holder.? Question No. 29. Giving credit to the creator in your video’s description is enough to prevent copyright infringement from occurring.? Question No. 30. Copyright infringement is a serious offense and violation of the law may have significant consequences.? Question No. 31. It’s fine to use someone else’s content as long as it already appears on YouTube.? Question No. 32. in order to determine whether specific copyrighted content is authorized to be used on YouTube you should upload it to your account and wait for the Content ID system to block any unauthorized content.? Question No. 33. The following things are copyright able: Names, Places, Faces and Spaces.? Question No. 34. The Following things are copyright able: Name , Places, faces and spaces.? Question No. 35. The following item is protected by copyright.? Question No. 36. If you claim fair use in the video description, your video description, your video can’t be considered copyright infringement.? Question No. 37. All uses of copyright content without permission of the owner are considered copyright infringement.? Question No. 38. If someone alleges that you have infringed their copyright, you will receive a notification.? Answer: Both A and B. Question No. 39. If you misuse the YouTube’s counter Notification process.? Answer;Your YouTube Account will be terminated. Question No. 40. Its fine to use someone else’s content as long as it already appears on YouTube.? Question No. 41. It’s Possible for music to have more than one copyright owner.? Question No. 42. If a video gets removed because of a copyright infringement notification, filing a counter notification is the only possible way restore the video.? Question No. 43. You should ask YouTube for permission to use other user’s content from the site.? Question No. 44.Creating 100% original new content YouTube will help to protect you against claims of copyright infringement.? Question No. 45. Deleting a video that was removed for copyright will get rid of the associated copyright strike.? Question No. 46. It is impossible for a remix or mash up to infringe copyright.? Question No. 47. If you claim fair use in the video description, your video can’t be considered copyright infringement.? Question No. 48. As long as I have purchased the content in question, it is not possible for me to infringe copyright by uploading it to YouTube.? Question No. 49. Fair use is a legal defense that applies in all countries.? Question No.50 Its fine to use someone else’s content as long as if already appears on YouTube.? Question No. 51. The Following items are NOT Protected by Copyright.? Question No. 52. If content is available on the Internet, it is in the public domain and therefore okays to YouTube.? Question No. 53. If you claim fair use in the video description, your video can’t be considered copyright infringement.? Question No. 54. If the original creator of the copyrighted work has died,the work is no longer protected by copyright.? Question No. 55. If you are found to be a repeat infringe, you could lose your YouTube account.? Question No. 56. If you claim fair use in the video description, your video can’t be considered copyright infringement.? Question No. 57.Anyone can issue a copyright claim on behalf of someone else.? Question No. 58. Copyright infringement can result in:? Question No. 59. As long as you have modified the original content in some way such as in a remix it is always a fair use of copyrighted materiel and you cannot be subject to claim of copyright infringement.? Question No. 50. In order to determine whether specific copyrighted content is authorized to be used on YouTube you should upload it to your account and wait for the content ID system to block any unauthorized content.? Question No. 50. Copyright infringement occurs when a copyrighted work is without the permission of the copyright owner.? Question No. 51. If intentionally file a false notice of alleged copyright infringement against a YouTube video just for fun, or cause trouble I could be found liable for any damages caused.? Question No. 52. Creating 100% original new content for YouTube will help to protect you against claims of copyright infringement.? Question No. 53. Copyright protects each of these individual rights. Fair use is a legal defense that applies in all countries.? Question No. 54. Uploading a video of myself recording my favorite cover song does not require the permission of the copyright holder.? Question No. 55. Giving credit to the creator in your videos description is enough to prevent copyright infringement from occurring.? Question No. 56. Copyright infringement is a serious offense and violation of the law may have significant consequences.? Question No. 57. Its fine to use someone else’s content as long as it already appears on YouTube.? Question No. 58. If i intentionally file a false notice of alleged copyright infringement against a YouTube video just for fun or the cause trouble i could be found liable for any damages caused.? Question No. 59. The following things are copyright able name, places, faces and spaces,? Question No. 60. Copyright infringement is a serious offense and violation of the law may have significant consequences.? Question No.61 Content that was once allowed by a content owner may be subsequently removed from YouTube.? Question No. 62. The following item may be protected by copyright.? Question No. 63. It is okay to upload an entire cartoon episode without the authorization of the copyright owner as long as I am just sharing it with my friends family and fans.? Question No. 64. If Someone alleges that you have infringed their copyright and you are certain that this is not the case, you may.? Answer: File a counter notification. Question No. 65.Copyright protection is only given to major film television or recording corporations who pay for the privilege.? Question No. 66. You should ask YouTube for permission to use other users content from the site.? Question: Anyone can issue a copyright claim on behalf of someone else. Question: If I intentionally file a false notice of alleged copyright infringement against a YouTube video (just for fun, or to cause trouble), I could be found liable for any damages caused. Question: Creating 100% original new content for YouTube will help to protect you against claims of copyright infringement. Question: Copyright infringement is a serious offense and violation of the law may have significant consequences. Question: “Fair use” is a legal defense that applies in all countries. Question: Copyright protection is only given to major film, television or recording corporations who pay for the privilege. Question: As long as you have modified the original content in some way, such as in a remix, it is always a fair use of copyrighted material and you cannot be subject to claims of copyright infringement. Question: Content that was once allowed by a content owner may be subsequently removed from YouTube. 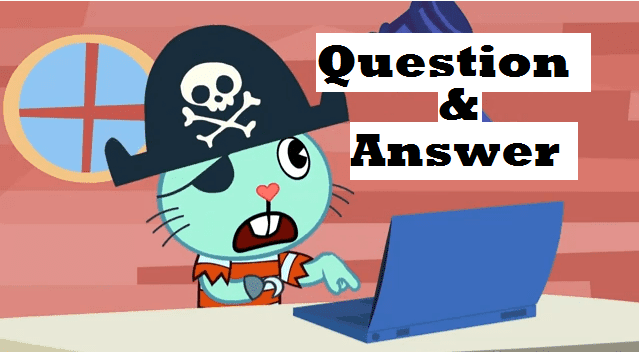 Question: It is okay to upload an entire cartoon episode without the authorization of the copyright owner as long as I’m just sharing it with my friends, family and fans. Question: It is impossible for a remix or mashup to infringe copyright. Question: Giving credit to the creator in your video’s description is enough to pvent copyright infringement from occurring. Question: It’s fine to use someone else’s content as long as it already appears on YouTube. Question: All uses of copyrighted content without permission of the owner are considered copyright infringement. Question: If content is available on the Internet, it is in the public domain and therefore okay to upload to YouTube. Question: If you claim fair use in the video description, your video can’t be considered copyright infringement. Question: If you are found to be a repeat infringer, you could lose your YouTube account. Question: If the original creator of the copyrighted work has died, the work is no longer protected by copyright. Question: The following things are copyrightable: names, places, faces and spaces. Question: Deleting a video that was removed for copyright will get rid of the associated copyright strike. Question: If a video gets removed because of a copyright infringement notification, filing a counter-notification is the only possible way to restore the video. Question: In order to determine whether specific copyrighted content is authorized to be used on YouTube, you should upload it to your account and wait for the Content ID system to block any unauthorized content. Question: You should ask YouTube for permission to use other users’ content from the site. Solusinya adalah buat kreasi video youtube anda sendiri yang tidak melanggar hak cipta yang telah ditentukan oleh youtube. 0 Response to "Jawaban Youtube Copyright School Questions And Answers"